Pulitzer Prize winning author Garry Wills wrote a rebuttal of sorts to Roberto Unger’s proposal that Obama must be defeated in the 2012 election. I’m disappointed that this is the best that Wills could do. You tend to expect more from Pulitzer Prize winning authors but what can you do? I once heard E. J. Corey give a seminar at one of my former (and now shuttered and mothballed) work sites and have come to understand that Nobel prize winning chemistry and engaging speaking skills do not always co-express. Still, I expected Wills to try harder. I’m not a winner of any prizes but I can shoot cannonballs through this post. As we have been reminding Democrats for the past 4 years, the elected delegate count at the convention was much closer than the media let on. Obama was not nominated by a landslide of overwhelming proportions. He got through on a squeaker in elected delegates. The number that separated them was less than 100 and may have been as few as 17. Four of those delegates were taken from Hillary’s total in Michigan and the rest were unassigned delegates in Michigan that were given to Obama even though he wasn’t on the ballot. To cinch the nomination, his campaign paid the superdelegates and their state campaign committees handsomely with finance industry largesse. Given the numbers, Clinton was more than justified in demanding a floor fight but with the media narrative so carefully constructed against her, she would have looked like an usurper. So, Wills is wrong here. More than half of the party did not fall for a shining prince, whether Wills liked their choice or not (I suspect not. Guys of Wills’ ilk were unabashed and uncritical Obama supporters, we have observed.). Believe it or not, some of us voters evaluated the candidates carefully and selected someone who ran on issues, not her personal saga of self-actualization. And we didn’t expect the new president to solve all of the world’s problems all at once. We expected the new president to govern like a Democrat. Not too much to ask of a candidate who ran on the Democratic party ticket. That is why one should always vote on the party, instead of the candidate. The party has some continuity of commitment, no matter how compromised. What you are really voting for is the party’s constituency. That will determine priorities when it comes to appointments, legislative pressure, and things like nominating Supreme Court justices. So, what is Wills saying here? Is he acknowledging that Obama was some kind of decoy and not really a Democrat? After his election, doesn’t the president informally become the head of his party? Assuming that the party will take care of things, what is the role of the president at this point? Conversely, if it is expected that he will craft policy that is in line with his party’s values, what are we to make of the four year spectacle when he has clearly NOT done this? I’d be more than willing to let Obama off the hook for acting like a moderate Republican for the past four years if he’s not really expected to be the head of the party in a public sense but that leaves me wondering, who is running the show in the Democratic party? To vote for a Democrat means, now, to vote for the party’s influential members—for unions (including public unions of teachers, firemen, and policemen), for black and Latino minorities, for independent women. These will none of them get their way, exactly; but they will get more of a hearing and attention—“pandering,” if you want to call it that—than they would get in a Republican administration. Ahhh, yes, do you mean the public unions that Obama tweeted good luck to in last week’s Wisconsin recall vote? That worked out well. What Wills is suggesting here is that the Democratic party become the insincere party of “special interests” instead of a party of vision of how the working and middle classes prosper in this brave new world. A Democratic voter might reasonably expect the head of his party to aggressively defend the values of the party but Obama does not really display a passion for that kind of thing. Then he goes on to tell us how Romney represents the plutocrats, yada-yada-yada. And Obama once infamously said that he is the only thing that stood between the bankers and the pitch forks just before he slapped them on the wrist and let them go. By the way, there are a ton of unemployed people out here. Hello? Please spare us the lecture. The etherialists who are too good to stoop toward the “lesser evil” of politics—as if there were ever anything better than the lesser evil there—naively assume that if they just bring down the current system, or one part of it that has disappointed them, they can build a new and better thing of beauty out of the ruins. Of course they never get the tabula rasa on which to draw their ideal schemes. What they normally do is damage the party closest to their professed ideals. Yes, this is the goal. However, the party that is closest to our professed ideals is, sadly, not professing our ideals anymore. Even we FDR style liberals are out of the loop, nevermind our loopy hippy cousins. The party damaged itself in 2008 when it humiliated one candidate at the expense of another, rewrote the rules, used misogyny and was never held accountable, and rigged the convention with barely a peep of protest from its leaders. More insults follow about how stupid we are and how independents are naive and ignorant and probably racist. You know the drill. Then there is the Nader fiasco. I didn’t vote for Nader in 2000. I voted for Al Gore because I actually believed in the dude. Yes, the Naderites were pretty stupid back then because there really was a difference between the parties in 2000. But when the party jettisoned all those differences in pursuit of the money from Obama’s backers in 2008, well, they kind of sold out. And the evidence of that is overwhelming. Sorry, Garry. I could cite many examples from the badly structured and unaccountable bailout, to the insufficient request for fiscal stimulus, to the neglect of homeowners, to the even more egregious neglect of the unemployed, to the healthcare plan that makes us carrion to the insurance companies, to the badly played debt ceiling fiasco of last year, that’s just to start. The clearly unconstitutional “kill list” that could include any American citizen deemed to be a threat goes beyond anything even I expected from Obama. And Obama squandered his Congressional majority in his first two years, which goes back to point one about voting for the party. Apparently, he’s not really a people person when it comes to motivating his own party to do what he wants. That involves confrontation and Obama’s agin’ it. Where did that reticence to engage Congress get us, Garry? I guess the political and party affiliation of the president is important after all, eh? I’m practicing my Canadian because I’m hoping one of my kids will move there and sponsor me. Throughout his post, Wills shows over and over again that his is unable to imaginate any other Democrat than Obama as a presidential candidate. I can only assume that to Wills, Obama must be *the* ultimate Democrat for president. Wills is buying into the idea that there is no other candidate for president from the Democratic party who embodies the ideals of the Democratic party more closely than Obama. If the party is corrupt and ineffective for the vast majority of Americans who voted for it, welcome to politics, suckers! When the Democrats nominate their candidate in September, they will be saying that that person represents all of the best of that party in terms of values, skills and potential. It simply does not get any better than this. The coming apocalypse of the “etherialists” is avoidable because Barack Obama is not the nominee yet. Stop talking nonsense down at us and focus your ire on the party leadership who got us into this mess. They’re the only ones who can get us out before the general election in November. In Charnin’s analysis of exit poll data, we can say with a 95% confidence level – that means in 95 out of 100 elections – that the exit polls will fall within a statistically predictable margin of error. Charnin looked at 300 presidential state exit polls from 1988 to 2008, 15 state elections would be expected to fall outside the margin of error. Shockingly, 137 of the 300 state presidential exit polls fell outside the margin of error. What is the probability of this happening? “One in one million trillion trillion trlllion trillion trillion trillion,” said Charnin. Here’s where U.S. elections become laughable. A couple of private companies, count our votes with secret proprietary hardware and software, the most notable being ES&S. Every standard of election transparency is routinely violated in the U.S. electronic version of faith-based voting. How the corporate-dominated media deals with the issue is by “adjusting the exit polls.” They simply assume the recorded vote on easily hacked and programmed private machines are correct and that the international gold standard for detecting election fraud – exit polls – must be wrong. How can a poor consumptive Romantic change the world? I don’t think he meant to throw away reason because that would make the world incomprehensible. We have too many instances of the religious right in this country dispensing with any kind of rational thought to the point where they believe anything they’re told. 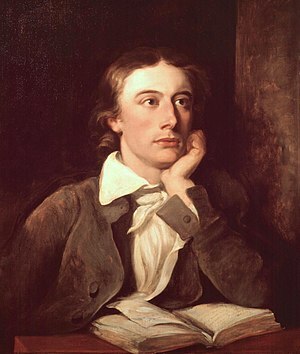 Negative capability is linked to creativity. It is an openness to experience without conventional limitations. It has also been linked to conflict because it relies on uncertainty. I wouldn’t call it conflict so much as a high energy state. When we are confined by rules, convention, expectations, we are in a low energy state. Our world is constructed for us and we merely live in it. Don’t push the envelope, don’t rock the boat. Roberto Unger made a glancing reference to negative capability in that short video I posted yesterday. His idea is that by defeating Obama, we push ourselves into a high energy state and force ourselves into uncertainty where we must confront conflict and resolve it by looking for opportunities that exist beyond our current framework. I think this is very exciting as well as scary as all hell. It’s a bit like doing a hard reset on your computer when it goes all wonky on you. You’re pretty sure it will work after it comes up again but you don’t know how much stuff will be erased in the meantime. Of course, Steve was all about execution as well. Make sure the insides are as beautiful as the outsides. I think JRR Tolkien was onto negative capability as well. He gives his characters goals but he also gives them advice about being open to the people you might meet along the way and to not to allow others to shape your future but to be receptive to opportunities. He invented the concept called the “eucatastrophe”. That is the idea that germs of something good can be found in what initially looks like a fiasco. Openness and receptivity are essential for making your way out of a catastrophe. And then there is Occupy Wall Street which has a freer form. It is coming into existence without much of a framework. And while it is going to hit a lot more bumps in the road, it has already made a significant impact on our national dialogue by being able to shift, change, evolve and take advantage of opportunities. A year ago, we didn’t even know what the 99% were and now we are one. Anyway, I just thought I’d leave you all with that at the beginning of the week. “Not all those who wander are lost.” The world isn’t going to end no matter how bad things get. And it is OK to not go along with the program in 2012. Some scenes from the 2009 movie Bright Star about John Keats’ short life and relationship with Fanny Brawne. Highly recommended.